How to make order at Fashiongraphy? Click "Register" at right hand side of Fashiongraphy page. If you already member, click "Login"
Fill in your personal detail. 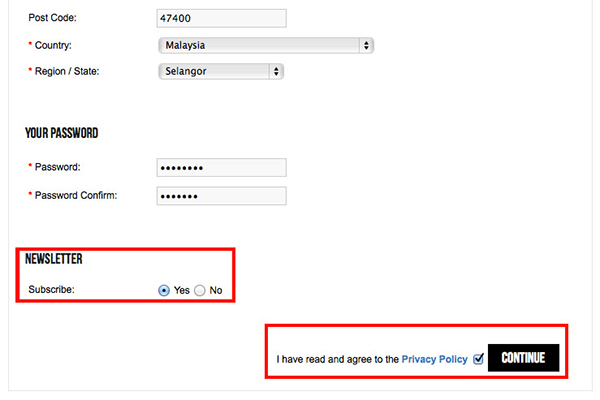 On Newsletter subcription column, choose "Yes"
Then, click "Continue" to proceed. You will reach page page below showing " Your account had been created! " Go to Fashiongraphy main page, click "All Products". Choose the product you wish to order by clicking "Add to Cart". 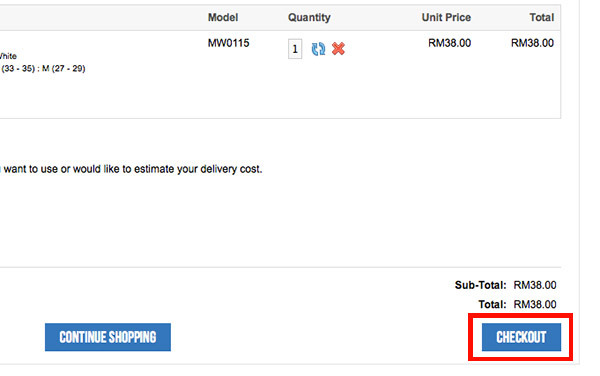 Finally, confirm your quantity and click "Add to Cart"
After you choose your item size and color, add to cart. Once your mouse roll over "Shopping Cart", It will have a drop down box. Choose "Use Coupon Code" and key in your coupon code, then click "Apply Coupon"